My friend, Ian, once told me a story about domesticated turkeys. You know, the tasty kind. One night, during a loud rain storm the flock became unnerved. The crashing thunder frightened them. The driving rain disoriented them. The terrified poultry ran for cover. Panicked turkey after panicked turkey piled into a shed. Eventually so many crammed themselves in there, the whole flock suffocated. 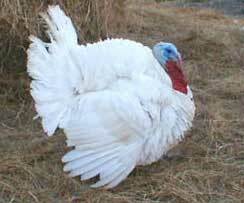 When the farmer came out the next day he found an entire shed packed with dead turkeys. Yesterday, I watched the news that Italian Premier, Silvio Burlasconi would be resigning hit the Market. It caused a 100 point upturn and the media credited the impending change as a catalyst for positive movement. Let me sum this up; The reaction boiled down to, "Hooray! he's gone!" to "Oh, sh*t! He's gone!" overnight. Which brings me to my point; when we get stuck in a short-term focus - especially when we are hit with unexpected news - the Market is full of dead turkeys. Our award-winning book, MarketPsych, is dedicated to helping professionals and laypeople alike overcome such pitfalls. And we frequently give talks and workshops on the subject (for more info contact us at info@marketpsych.com). And my partner, Dr. Richard Peterson's amazing sentiment data over at http://www.marketpsychdata.com/ can give you the tools to not merely avoid mistakes, but help you profit from the folly of others. We invite you to check out both. Thanksgiving is coming, people. Don't be a dead turkey.